For some people, giving up carbs is difficult because it means giving up sweets, while for others, it’s about giving up crunchy, salty snack foods. One great low-carb solution to the need for crunch is fennel, with its celery-like texture, and mild licorice flavor. Because the taste of fennel is so subtle, like chicken, it lends itself to myriad preparations, like this roasted cauliflower and fennel dish. But perhaps the best way to prepare fennel is this unfussy Middle Eastern salad that attempts to highlight the delicate flavor of the vegetable, rather than making it taste like something else. 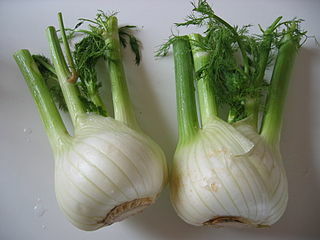 Wash fennel well and cut off the stalks and fronds, reserving them if you like, for another purpose. Trim the root end. Peel or cut away any brown spots on the outer layer of the bulbs. Slice fennel in half lengthwise, then slice into ¼ inch thick slices. Place in mixing bowl. Tasting as you go, season to taste with salt, pepper, lemon juice, and the optional pickled lemon slurry.